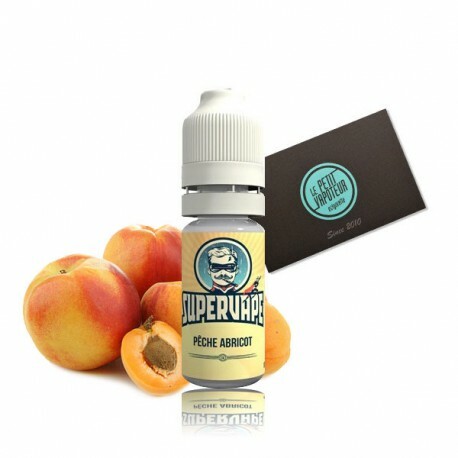 Concentrated Peach Apricot Aroma by Supervape. A concentrated peach apricot aroma. We have often associated and have reason to, this fruity combination is almost sensual. Supervape however have put there heart into this and propose for example a hint of Amanadine pear and also if you like herbs, pistachio or basil. 10ml Plastic Bottle. Concentrated Aroma recipes must be diluted in the base ! Do not vape the aroma directly. Goût très agréable même en ne laissant reposer que quelque jours. Sucré et acidulé à souhait.